A turning point is happening in the U.S. despite the mainstream media’s best efforts to downplay and ignore it. 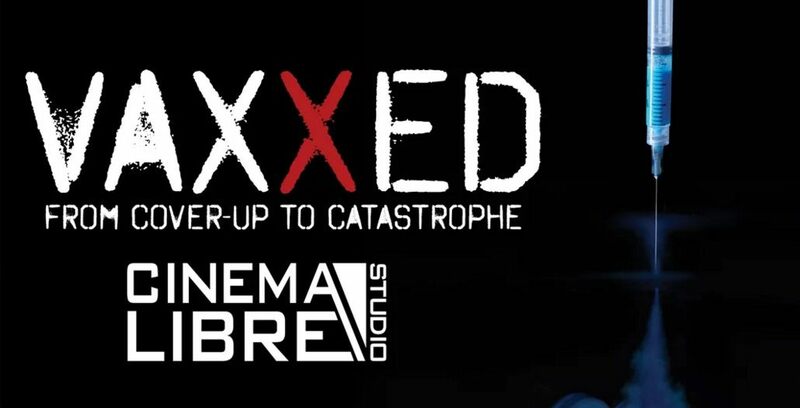 Fraud within The Centers for Disease Control and Prevention (CDC) is now premiering in theaters throughout the U.S. as the documentary Vaxxed: From Cover-Up to Catastrophe has opened at the box office to massive interest. The film centers on Dr. William Thompson’s 2014 admissions of research fraud with regard to manipulating the pivotal study that showed a correlation between the measles, mumps and rubella (MMR) vaccine and the onset of autism. Both the silence of Congress and the epidemic run up of autism rates since Dr. Thompson’s admissions have been staggering. Ignoring the opportunity to promptly act on Dr. Thompson’s information in 2014, the national conversation has grown rapidly encompassing pharmaceutical fraud, vaccine safety and government agency corruption. Now, another CDC whistleblower has revealed corruption at the CDC. On April 4, the court heard critical motions from a former CDC researcher and whistle blower alleging the CDC committed research misconduct and persistent data errors in their autism prevalence reports. Judith Pinborough-Zimmerman — the whistle blower in the case — filed specific concerns over alleged uncorrected errors in the CDC’s Autism and Developmental Disabilities Monitoring (ADDM) Network’s reported autism analysis for Utah. After Robert De Niro announced — and then days later retracted — the showing of Vaxxed at his 2016 Tribeca film festival, the public took note of the film in a major way. The hype generated in a week’s time by the fiasco was enough free publicity to propel the Vaxxed documentary upward like a rocket. When the Angelika theater stepped up to premiere the film in Tribeca’s absence, the countdown was on. In spite of efforts by the mainstream media to censor the message of Vaxxed, the public is responding in a huge way by showing that they want freedom of speech surrounding vaccine safety. What are we parents supposed to do when the state law forces us to get our children these vaccines. They can't attend school...???? Keep bashing Vaxxed. All that does is show they're onto something. A lot of us stopped believing the lies ages ago, between the CDC & Big Pharma, who's business is making & keeping us sick. Anyone who still thinks you care about the people is fast asleep. Those who choose profit over people are despicable, empty, soulless. Désirée-L.-Röver said: > There are NO HEALTHIER VACCINES! > Why? > Because the basic idea of vaccination has nothing to do with how our bodies work! > While researching for my (Dutch) book on the HPV vaccines hype in 2009 I dove into the history of vaccines. > My findings were shocking! > "The father of vaccination" Edward Jenner was not a doctor. He bought this title from a Scottish university. > And his experiments with a completely irrational folk myth -- having had cow pox protects against smallpox -- ended in the early death of his test subjects. One of them, John Baker, died shortly after having been variolated with horse grease, and therefore "was not suited got [smallpox] inoculation". (See here the first word games we are presented with? Edward Bern's was not even born then!). > Jenner's own son and the son of his gardener were often Jenner's test subjects. They were being inoculated with all sorts of crap, and died at 20 and 21 years of age, because of the cow related disease tuberculosis. > Cowpox and smallpox are two unrelated pathogens. > Cowpox is seen only around the udders of female, lactating animals which gave milk maids sjanker like ulcers on their hands, since syphilis is a bovine disease as well... > Smallpox is not transmitted human-to-human, but is being spread by the bed bug -- epidemics appeared especially after a bad harvest, when the nutritional status (vitamin C) of the population was low. The since 1853 mandated mass cowpox vaccinations resulted in huge smallpox epidemics with many deaths (because of the vaccine-induced immune suppression). > Smallpox is seen in humans, men and women, and over the whole body. > With vitamin C the disease is easily modulated, as basically is every infectious disease (for higher dosage turn to intravenous administration, see dr. Frederic Klenner). > > This documentary is fantastic, even though it only addresses 'the leaves' of the vaccination tree. > We need to go to the 'roots of the vaccination tree' and get rid of them completely... > I have observed that especially doctors have great difficulty to shed the intense programming of their pharmaceutically based education, and still want to believe that there can be safe or green vaccines. > Yet the mantra "vaccination is safe and effective" that they have learned to automatically repeat, is just that, a mantra. It has noting to do whatsoever with the reality of the body, the immune system and the self healing talents of the human being and other mammals. > True health is achieved by pure and vital organic food en water. Having mumps. measles, or another childhood or infectious disease is an exercise for the immune system, and can easily be kept within safe boundaries by the administration of vitamin C! If there is a panacea, its Vitamin C.If there is a panacea, its Vitamin C.
Couple of Alerts: -BREAKING NEWS: FILM FESTIVAL HIT WITH “VERY THREATENING CALLS” FROM HOUSTON GOVERNMENT OFFICIALS FORCING “VAXXED” PULLED April 6, 2016 By Celia Farber The following letter was sent to Philippe Diaz, Chairman of Vaxxed: From Coverup To Catastrophe distributor Philippe Diaz, on April 5, at 8:56 am. The situation has now escalated to criminal conduct and extortion. We urge all media to investigate immediately. –Celia Farber, Editor Dear Philippe~ Good Morning… I wanted you to know that just like DeNiro and Tribeca, we must withdraw our invitation to screen VAXXED! It has been cancelled, and there was no press release about the film… that was scheduled for today, but after very threatening calls late yesterday (Monday) from high Houston Government officials (the first and only time they have ever called in 49 years) – we had no choice but to drop the film. Heavy handed censorship, to say the least… they both threatened severe action against the festival if we showed it, so it is out. Their actions would have cost us more than $100,000 in grants. I do hope that they did not call or threaten you. It is done, it is out and we have been censored… There are some very powerful forces against this project. It does seem a bit of overkill, as I am confident that it will be released Online soon and millions of people can see it. My Thanks and Best regards, Hunter Hunter Todd Chairman & Founding Director TEAM WORLDFEST The 49th Annual WorldFest-Houston Calling All Mommy Blogger Trolls: Clarion Call: Vaccine Astroturf Campaign to Begin April 11th. The Canary Party News 06 April 2016 CDC pays for astroturf support for the vaccine program. We have long suspected it, and occasionally we get to see behind the curtain. Such was the case last month when Megan Media posted a call for "mommy bloggers" to run paid stories supporting the vaccine program beginning April 11th. The link has since been removed, but we took a screen shot to preserve the job posting. We encourage our members and readers to save the image, and post it on the comments section of any blog posts supporting the vaccine program after April 11th, with the question: "Have you been paid by Megan Media, the CDC, or any other parties for your vaccine stories?" http://canaryparty(dot)org/the-news/103-vaccine-astroturf-campaign-to-begin-april-11th. http://canaryparty(dot)org/images/MeganMedia.jpg. Like ANY and EVERY problem of significance in this world - it is caused by the rich people, getting richer, at someone/something else's expense. Do YOU own a nuke power plant like Fuk-u-shima that is pumping billions of gallons of radioactive water into the Pacific and killing it? No. Do YOU make 2,000,000,000 pounds (one million TONS) of poison to put on the US this year - no, that would be corporations. Do you make plastic to foul the oceans and reduce photosynthesis by 35% - just ONE of the industrial causes the ocean and world produce at best 65% of the oxygen that the planet should provide. So your breath? That takes 50% MORE energy to get your 35# of oxygen today than it should. You may own stock in a corporation, but unless you are a CONTROLLING SHARE holder, board member, or mgmt - you don't tell that company what to do or how to do it. So when Monsanto, over several states, multiple decades, and various products, has killed and damaged untold thousands of people - it is the wealthy, parasitic class who chooses to cause these damages to squeeze that next nickel out of everyone else. Two yrs ago, 85 individual people together, owned MORE than the poorest half of humanity combined. Last year it was 70 people. This year it is 62 people owning more than the poorest half of all humanity. So these 62 greedy maggots could leave "their" wealth to the poorest half of humanity and DOUBLE these unfortunate's life quality! (Don't expect that to happen) So - what does this comparison MEAN - because i GUARANTEE you have NO perspective. Well, here's one way to look at it. Take an american football playing field - that is 5,000 sq yds - 50X100 yds. Pretend the poorest and the wealthiest both own that much. The average amount of that field which would be owned by a rich man would be: 80.64 sq yds, or 725.8 sq ft, or 104,516 square inches - plus. What would the poorest own? 0.0018 square inches. That's right - zero point zero, zero, one eight inches or 18 ten thousandTHS squared. How "large" is that? Grab a sheet of computer paper and look at the thin edge. That is substantially thicker than the dimension here - usually 0.0021 - 0.0024 inches thick. So the thin edge of your paper, squared is more than the average poor person would own, while the rich person owns more than 80 square yards. This PROVES BEYOND DENIAL that these individuals alone, (not to mention the other infantile, greedy, parasitic maggot types calling theirselves "elite" because they are too stupid to understand the definition of that word...) DIRECTLY CAUSE poverty, hunger and starvation, resulting illness and death, disease and damages, disfigurements and disabilities, death, stress and violence. Additionally they cause all the wars, ALL the ecological problems which can be remediated, and every larg-scale problem you are likely to think of. THIS IS THE EXACT SORT OF PERSON RUNNING THE DRUG COMPANIES and buying congress, the Prez, the Supreme Court, the alphabet soup agencies, the states, the press to keep control of the information as best as possible, the military and police to protect them from you...... There is no wonder that it is run like psychopaths are in charge. They are. This perfectly defines those "leading" our farcical version of "civilization". We the people are great in general. They the rich are scum-sucking, bottom feeding idiots, devoid of wisdom, morally retarded and spiritually defective. But other than that, they're probably pretty nice folk. There are NO HEALTHIER VACCINES! Why? Because the basic idea of vaccination has nothing to do with how our bodies work! While researching for my (Dutch) book on the HPV vaccines hype in 2009 I dove into the history of vaccines. My findings were shocking! "The father of vaccination" Edward Jenner was not a doctor. He bought this title from a Scottish university. And his experiments with a completely irrational folk myth -- having had cow pox protects against smallpox -- ended in the early death of his test subjects. One of them, John Baker, died shortly after having been variolated with horse grease, and therefore "was not suited got [smallpox] inoculation". (See here the first word games we are presented with? Edward Bern's was not even born then!). Jenner's own son and the son of his gardener were often Jenner's test subjects. They were being inoculated with all sorts of crap, and died at 20 and 21 years of age, because of the cow related disease tuberculosis. Cowpox and smallpox are two unrelated pathogens. Cowpox is seen only around the udders of female, lactating animals which gave milk maids sjanker like ulcers on their hands, since syphilis is a bovine disease as well... Smallpox is not transmitted human-to-human, but is being spread by the bed bug -- epidemics appeared especially after a bad harvest, when the nutritional status (vitamin C) of the population was low. The since 1853 mandated mass cowpox vaccinations resulted in huge smallpox epidemics with many deaths (because of the vaccine-induced immune suppression). Smallpox is seen in humans, men and women, and over the whole body. With vitamin C the disease is easily modulated, as basically is every infectious disease (for higher dosage turn to intravenous administration, see dr. Frederic Klenner). This documentary is fantastic, even though it only addresses 'the leaves' of the vaccination tree. We need to go to the 'roots of the vaccination tree' and get rid of them completely... I have observed that especially doctors have great difficulty to shed the intense programming of their pharmaceutically based education, and still want to believe that there can be safe or green vaccines. Yet the mantra "vaccination is safe and effective" that they have learned to automatically repeat, is just that, a mantra. It has noting to do whatsoever with the reality of the body, the immune system and the self healing talents of the human being and other mammals. True health is achieved by pure and vital organic food en water. Having mumps. measles, or another childhood or infectious disease is an exercise for the immune system, and can easily be kept within safe boundaries by the administration of vitamin C! The truth will win. Keep spreading the truth. Again you confuse correlation with causation. Attending Junior High is highly correlated to females bleeding once a month for decades. Does that mean Junior High causes menstruation?